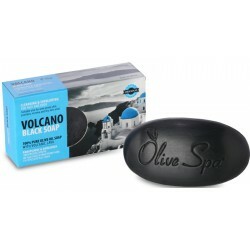 THERAPEUTIC PROPERTIES OF VOLCANIC LAVA: Increases blood flow and lymph circulation, tones the musc.. The Santo Volcano Spa 2 to 1 Cream is an effective, daily treatment for face and eyes. Its beneficia.. The Santo Volcano Spa cosmetic oil-serum, rich in nutritional oils, moisturizes, nourishes and impro.. The Santo Volcano Spa shampoo for all hair types gently cleanses the hair, giving shine and volume. .. The Santo Volcano Spa hand cream, rich in volcanic water, organic olive oil and aloe, is instantly a..